Walkers of all abilities (and none!) spent each afternoon out and about with their French hosts. 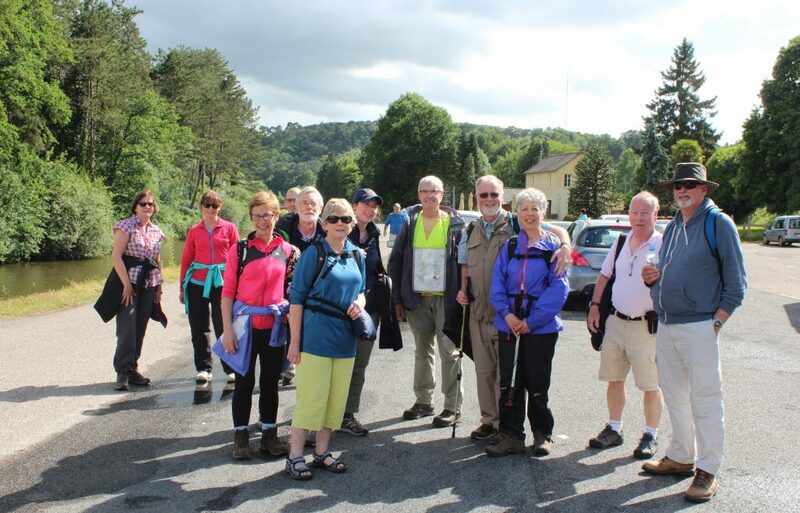 Welcomed into local families, the Skerries group had an opportunity to experience everyday life in France. For some, it was a return to friends, but for many of the group, it was their first visit to the Canton of Guichen. Language was never a problem – it’s amazing what a glass of wine or Breton cider can do to loosen tongues. Lots of pointing and laughter were often involved. 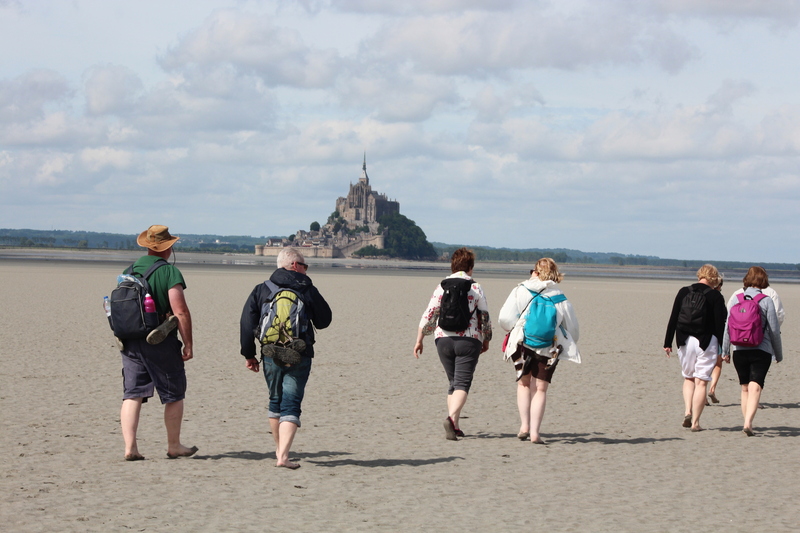 One of the highlights was the walk across the Bay of Mont St. Michel. 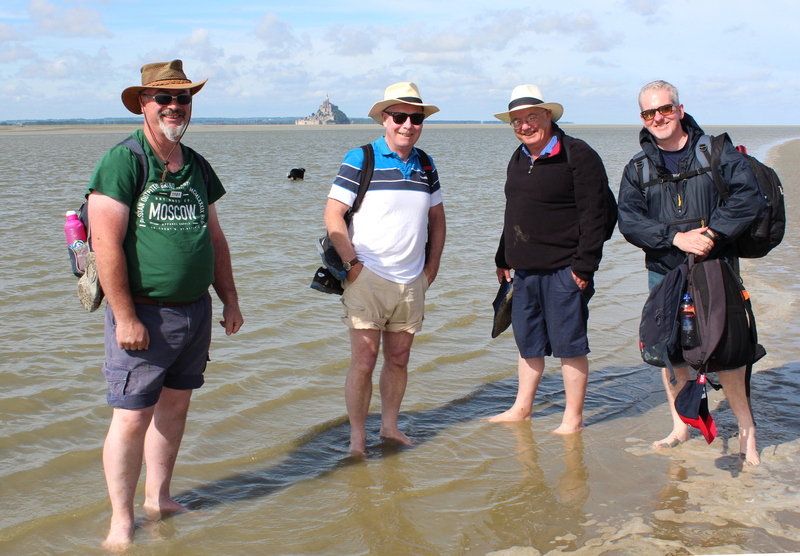 Although it involved an early rise (6.15 a.m.), to walk with the incoming tide, everybody felt it was a great experience. 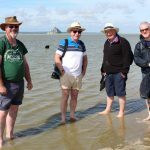 A six kilometre walk across the wet sands, splashing through sea water up to your knees, with the wind whipping through your hair, certainly shook the sleep from our eyes. The weather held up until the Mont was reached around midday, where everybody hastily sought shelter to eat their lunch and warm up on coffee or even something stronger. Walks on the following days were not so vigorous, but each one brought a new aspect of the local cultural and environmental heritage to our attention. On the walk around Laillé, for example, we sampled different stops at aspects of French life between 1920-1940. The weather was bright, some patches of rain, but nothing the hardy walkers from Skerries couldn’t cope with. These walks were usually preceded by a picnic in some place of natural beauty, and stops were made along the way to visit sites of interest. On Wednesday evening, everybody came together for a meal in a local restaurant, which was very enjoyable and involved some singing and dancing also. A lively evening of Breton and Irish music took place in St. Senoux on Thursday, and certain members of the Skerries group (thank you, Liam Shannon, for your talents) brought their own contributions to what was a great evening (sean nós dancing, anyone?) Meantime, some others of the group were at an open-air screening of Carmen, direct from Rennes Opera House. A visit to Bruz market on the final morning allowed us see some of the finest produce in the area. And what of our five teenagers? 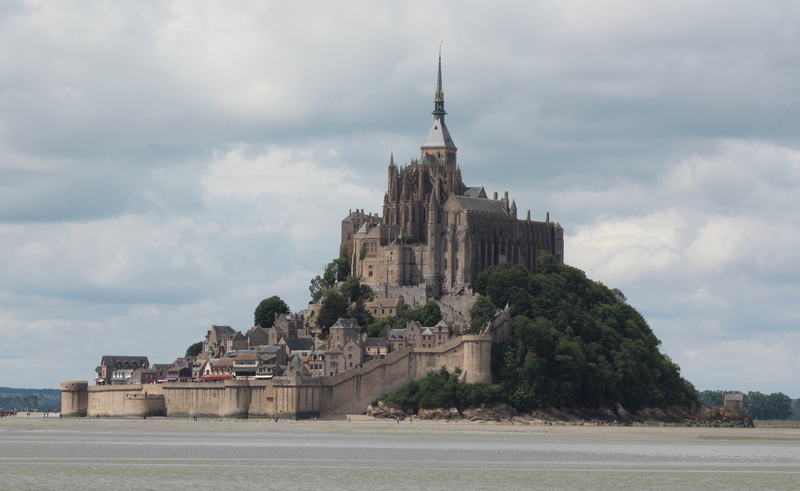 They thoroughly enjoyed living with a French family and sampling school life. For Vita O’Brien, it was a pleasure to reconnect with the family, whose daughter, Maelys, the O’Briens had welcomed in Skerries last year. Vita says “I went to her school for some of the days and got to know some of her teachers. Her English teacher laughed at my Irish accent and I found it interesting, because he spoke English with a British accent”. For Aisling O’Brien, it was her first trip to Guichen and she says “I had a ball! The family looked after Aya and myself so well”. Aya Zomer, who was with Aisling, says, “the family was really welcoming. I enjoyed experiencing the differences between my school and that of my new French friend, especially the canteen serving full hot lunches.” The two boys got on equally well, revisiting a family whose son they had hosted the previous year. So, all in all, another good experience for the two communities. An opportunity for two groups of people to engage with each other, to get to know each other. It’s what twinning is all about. 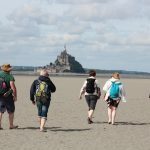 We are already looking forward to welcoming a Guichenais group to walk in Skerries next year. This entry was posted in Town Twinning by Tony Graham. Bookmark the permalink.